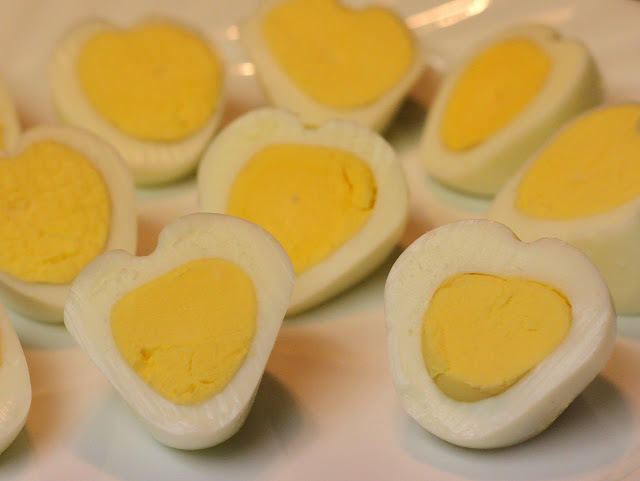 You have maybe seen this cute egg idea to brighten someone's Valentine's Day lunch on Pinterest. There are quite a few different websites offering instructions so I just checked a few out and gave it a try. 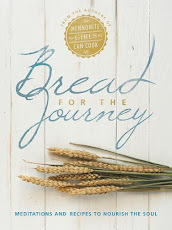 It worked well enough to share how I did it and what I would do differently next time. 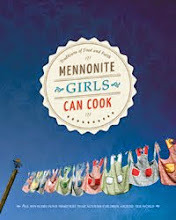 You will need an empty milk carton, washed, ends cut off and then cut to a depth slightly lower than a depth of an egg. From one egg carton you will end up with two V shaped pieces of cardboard. 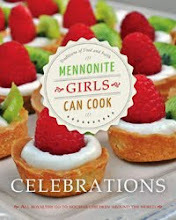 You will need round chopsticks or pieces of dowelling and a few elastic bands. One milk carton cut in half will make 4 eggs. Hard boil the eggs. Peel them. 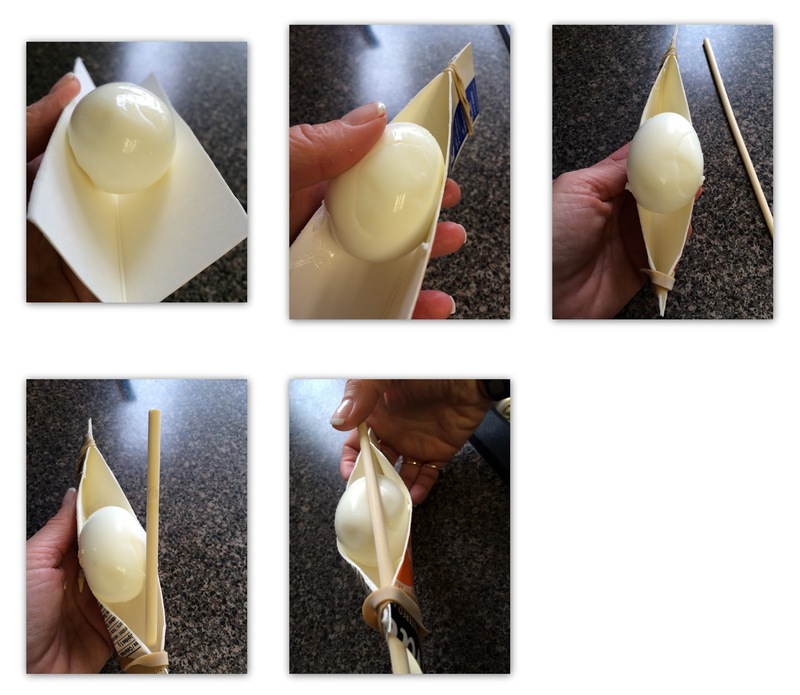 While still warm, place the eggs in the inside the V shape of the milk carton. Wrap rubber bands around each end. If the top of the egg isn't showing over the top, the egg carton will need to be cut down a bit more. The dowelling needs to be able to press into the egg as shown. If the egg is not warm, the egg will begin to split under the pressure. There needs to be enough pressure from the dowelling to make a dent in the yolk, but even if you are not that successful, the egg white shape will still be cute! 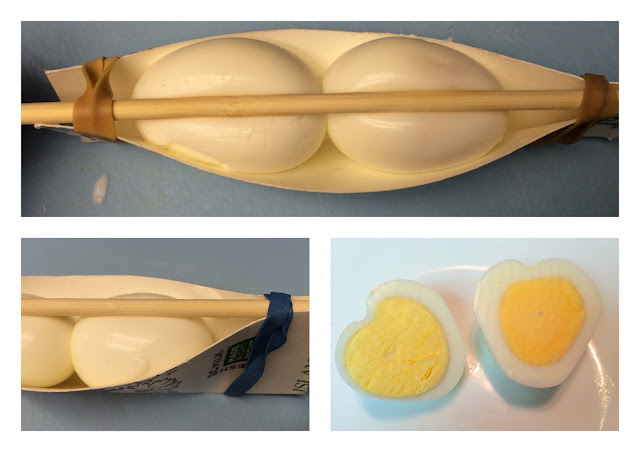 Slide the dowelling through the elastic band on one side, go over the eggs and then tuck it into the elastic on the other end. 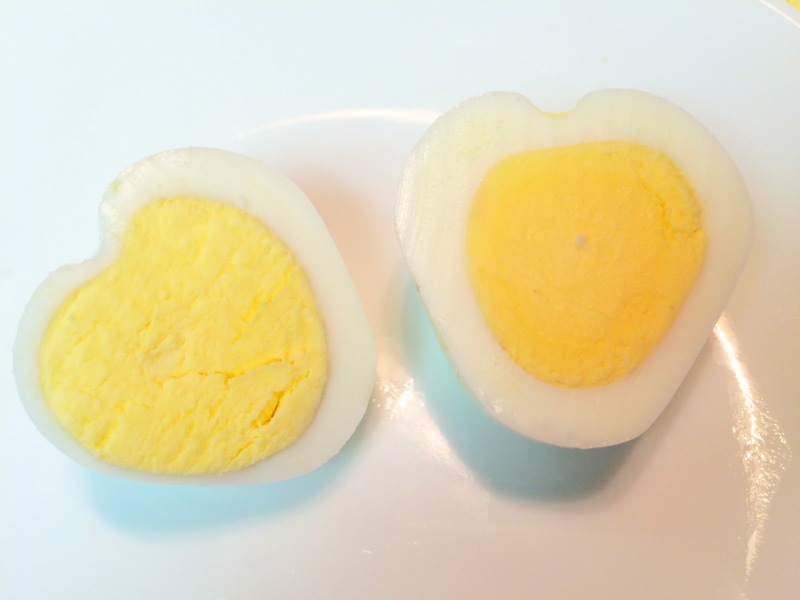 Slice the egg through the center and see your heart shaped egg. I never saw that cute trick before. Oh that is so clever and cute!